Two former Symmetry Corp. executives have launched a new Franklin-based information technology company called Managecore and raised $1.24 million in an initial funding round that opened in October, according to a notice filed with the SEC. Michael Haase, former executive vice president of sales and marketing at Brookfield-based Symmetry Corp., founded Managecore in October. Frank Powell, who was president and chief executive officer of Symmetry Corp. from 2013 to 2015, joined Managecore as a partner in December. Boston, MA - September 1, 2015 - TriCore Solutions, the application management experts, today announced that they have acquired SAP managed service provider Group Basis. This acquisition enables TriCore to expand their ERP Application Managed Service offerings to SAP environments. The combined services will help customers improve the performance and availability of their SAP environments while reducing costs. Additionally, clients can unlock the value of their data for better decision making, as well as provide strategic consulting and implementation as they enhance their SAP investments. Wade Walla, an original founder of Group Basis, will join TriCore's management team. Schaefer Brush Manufacturing of Waukesha, a 110-year-old manufacturer of industrial brushes, has been sold to Blackthorne Partners, a Brookfield investment group. Financial terms of the sale, which ends four generations of Schaefer family involvement in the business, weren't disclosed. Milwaukee-based fireplace door manufacturer Design Specialties Inc. has been acquired by Brookfield private equity firm Blackthorne Partners Ltd. and Michael Draves. Design Specialties, which declined to disclose its employee count, makes doors, screens and other hearth accessories sold at specialty hearth retailers across the U.S. and Canada. It was founded in 1983 and will remain at its 40,000-square-foot factory at 11100 W. Heather Ave. on Milwaukee's northwest side. Hughes Co., a Columbus maker of stainless steel food-processing equipment, has been acquired for an undisclosed price by Blackthorne Partners Ltd. based in Brookfield. Ross Lund, previously general manager at Trostel Ltd. in Lake Geneva, was also part of the acquisition team and has become president and chief executive officer of the company. Hughes Company, a Columbus, WI.-based manufacturer and international distributor of stainless steel equipment for the food processing industry, has been acquired by Blackthorne Partners Ltd., and former Trostel, Ltd, executive Ross Lund, who has become president and chief executive officer of the company. "We have aggressive growth goals for the company, which I know we can achieve based on the company's existing staff of highly skilled and dedicated employees, our existing manufacturing technology, and the new resources we will bring to the operation," Lund said. "We will help our customers become even more productive through investments in our people and in technology." Pallet USA now offers a broad range of pallet and wooden packaging services via the acquisition of Goeman's Wood Products. Both companies are in metropolitan Milwaukee. Pallet USA, LLC, of Lannon, Wis., has significantly expanded its product and service line through the acquisition of a majority of the assets of Goeman's Wood Products, Inc., of Hartford, Wis.
"Along with the sustainably reconditioned pallets we're known for, Pallet USA customers can now benefit from the extensive products and services of Goeman's Wood Products, including new wooden pallets, wooden shipping crates and package engineering," said John Sonn, Pallet USA president. Company owners interested in learning more about the process and prospects of buying or selling businesses are invited to attend the annual BizTimes M&A Forum, which will take place Friday, May 3, at the Pfister Hotel in downtown Milwaukee from 7:30 to 11:30 a.m. The theme for this year's event is, "Mergers & Acquisitions: Buyers & Sellers - Where Do We Go From Here?" Mequon-based private equity firm Blackthorne Partners Ltd. recently acquired Oak Creek-based network support provider Group Basis LLC and plans to double the company's size in the next two years. The deal is one of several recently for Blackthorne, which has targeted smaller companies for acquisitions. Private equity firm Blackthorne Partners Ltd. said it has acquired Berlon Industries, a manufacturer of buckets and attachments for skid loaders, telehandlers and compact utility tractors. Hustisford-based Berlon is a family-owned business serving about 900 companies in the agricultural, construction and landscape management industries through an extensive dealer network. 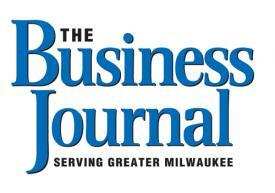 Blackthorne Partners, Mequon, is a private equity firm that focuses on small, niche companies. Scheibel Halaska, Milwaukee, recently received two ADDY Awards from the American Advertising Federation (AAF)-Madison chapter. The firm was a Gold ADDY winner in the Elements of Advertising – Logo category for its design of the Pallet USA logo, on behalf of Blackthorne Partners, and a Silver ADDY winner in the Interactive Media – Websites, B-to-B category for its design of the Mertz Associates website. Scheibel Halaska contributing team members include Tom Groff, copy chief, and Vince Halaska, digital marketing manager. The American Advertising Federation ADDY Awards are the advertising industry's largest competition, attracting over 50,000 entries nationwide through local ADDY competitions. Some see heaps of pallets stacked behind grocery stores, strewn around manufacturing floors and stuffed into Dumpsters, a few at a time so they'll be taken away. Blackthorne Partners LLC sees an opportunity. Blackthorne Partners Ltd. has invested $2 million in Integrated Medical Partners LLC, a Milwaukee company that runs several health care information technology businesses. Blackthorne closed this week on the funding, which gives it a minority stake in the company, said John F. Syburg, the firm's president and co-founder.